Dr. Ty Ruddell offers comprehensive chiropractic care at Everest Medical Group, where he specializes in gentle techniques and treats everyone, from newborns to older people with chronic pain and degenerative disease. 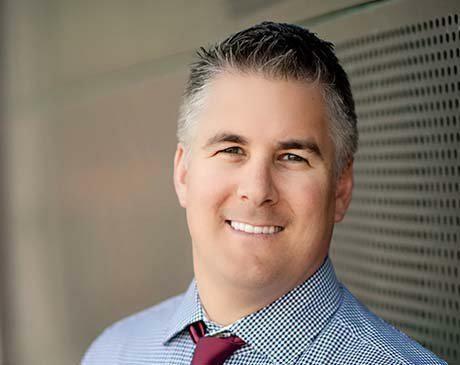 As a Certified Chiropractic Sports Physician, Dr. Ruddell welcomes athletes of all types in the area of Mesa, Arizona, whether you’re a weekend warrior or dedicated to professional training. He also treats people who have suffered injuries in auto accidents. Dr. Ruddell offers top quality care, combining his extensive chiropractic experience with a dedication to providing the latest technologies, such as the cold laser. Dr. Ruddell grew up in Alaska hunting, fishing, and enjoying the outdoors with his family. He was always interested in health and sports, which led him to study sports and medicine at Brigham Young University. A sports injury led him to seek treatment from a chiropractor. He was so impressed with the results that he enrolled in chiropractic school. The doctor and his wife, Cindy, decided that Arizona was the perfect place to raise their four boys, so they moved to Mesa. He enjoys spending time with his family, golfing, and fishing in Alaska. Dr. Ruddell has run his chiropractic clinic for nearly two decades.